101 Reasons To Pressure Wash Your Commercial Property, Brick NJ You are trying to find tenants to rent space in an office building with beautiful new desks and wifi....problem is their first impression is filthy stucco on the outside. Your supermarket has the freshest fruits in the area, the best cuts of meat....problem is the customers first impression is a walkway outside covered in years of mold and grime. You are trying to attract seniors to your retirement community with a club house that has too many amnities to list.....problem is the siding of this very clubhouse is covered in green and black...EWWW!. Your law firm claims to offer the best services in town....problem is noone can seem to find it since your sign hasn't been cleaned in 10 years. 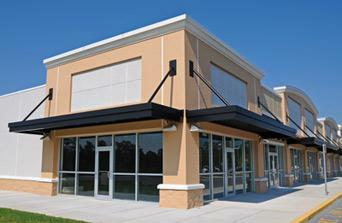 Do you need more reasons to pressure wash your commercial property, Brick NJ? Yes? Ok...You own a cafe that sells the freshest salads in town....problem is your customers first impression is the outside which looks anything but fresh. You are running a community center and you really would like to increase membership, in fact you just invested a boat load of money in a new gym....problem is no one wants to be a member of anything that is moldy and dirty. It should not be hard to come up with 101 reasons to pressure wash your commercial property, Brick NJ. Maintaining and cleaning your commercial property will give you an image of success....and did you say you have some nice office space for rent? Let's see it!